SCIENCE NEVER FELT SO GOOD…. because Scalisi skincare combines the best of science with the best of beauty, to create reparative and preventative products. Using multifunctional products that target an overall anti-aging equation, including uneven skin tone, dryness, sun damage, and expression lines. Scalisi skincare suits the hectic lifestyles of women today. I am currently using their Anti Aging Moisturizer. It has spf30, no retinol paraben free, and contains no oxybenzone. Best of all it’s light weight and leaves your skin feeling silky soft. So get with Scalisi, and use protection…. ..when it comes to pores, duh. 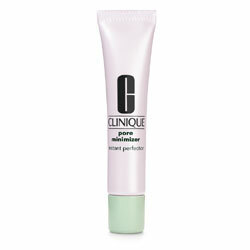 So I use Clinique’s Pore Minimizer instant perfector. This light weight cream minimizes the appearance of pores, eliminates oil, and gives a silky soft surface to decorate with your fave makeup. A little goes a long way. I’ve had one tube for over a year. When your pores minimize, the guys maximize!